With Degrassi: Next Class Season 1 FINALLY arriving on Netflix Canada on June 11, they’ve teamed up with ANDPOP to provide Canadian fans with a pretty cool prize. Not only can you win a Degrassi: Next Class jean jacket from Netflix, but you’ll also get a free 6-month subscription to Netflix Canada. 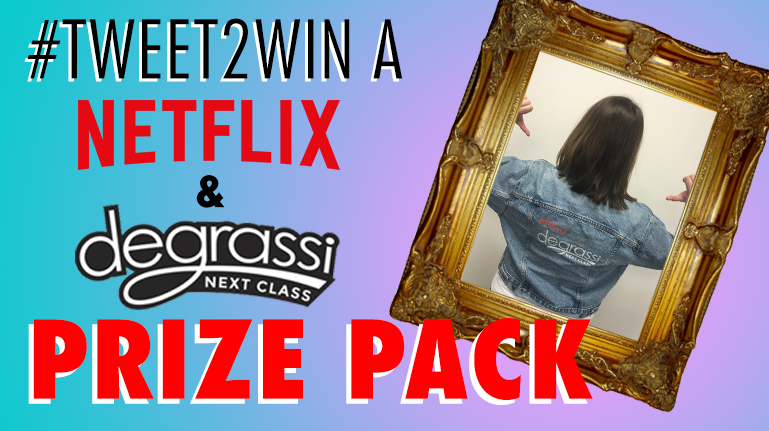 Want to win a #DegrassiNextClass & @Netflix_CA prize pack? MUST BE CDN! 1. All contestants must be 13 years old or older. 2. Contestants must be residents of Canada (excluding Québec). 3. Contestants must be following @ANDPOP on Twitter! The contest ends on Thursday, June 16 at 11:45pm ET. The winner will be selected on Friday, June 17. Complete contest rules can be found here.